2017 NFL Season Preview—NFC South: Will Falcons Suffer From Super Bowl Hangover? The Atlanta Falcons are going to be entering the 2017 NFL season in uncharted territory. They may very well be the first team that deserves to have a Super Bowl hangover. It’s not like they were dominated throughout the game like the Carolina Panthers or lost thanks to a later interception in the end zone like the Seattle Seahawks. They certainly didn’t get dominated like the Denver Broncos did three years ago. No, the Falcons had the game in hand with a 25-point lead halfway through the third quarter and a 16-point lead with 9:44 left in the game. The Falcons had a collapse for the ages; certainly, the type that should weigh on the minds of the players. But will it? Will they manage to persevere and rise above the disappointment? Or will the Buccaneers ascend to the top? 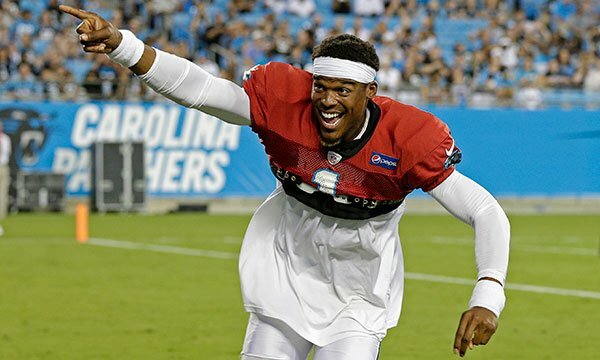 Maybe Cam Newton will get his mojo back and guide the Panthers to victory. What are the odds Adrian Peterson gives the Saints the running game they’ve always needed? In the past, the NFC South has been one of the least competitive divisions in the league, but this year could see it be the toughest. 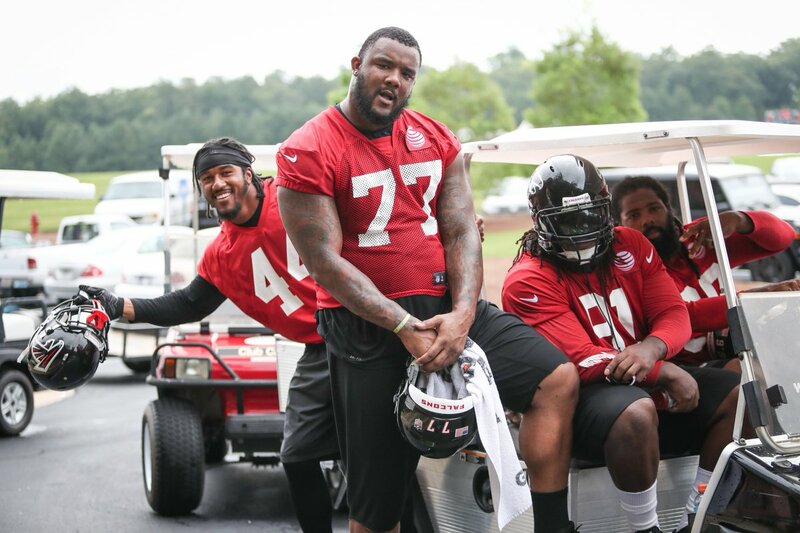 Assuming everyone comes back healthy and stays healthy, the Falcons offense should be just fine. Tevin Coleman and Devonta Freeman are a great tandem in the backfield, and Julio Jones is one of the best wide receivers in the NFL. It wouldn’t hurt if Mohamed Sanu or Taylor Gabrield could pick it up a bit this season and take some pressure off Julio Jones. The only things that may hold the Falcons back will be Matt Ryan and the defense. Ryan has always been a good quarterback, but last season he was award-worthy. The team doesn’t necessarily need him to be an MVP-caliber type guy again. But he can’t go back to being someone who throws double-digit interceptions and fumbles a lot (fumbled eight times in 2015; three times last year). Last season, the defense allowed over 25 points a game. Of the five teams that allowed more, not a single one made the postseason (49ers, Saints, Browns, Chargers, Jets). If the offense didn’t average over 33 points a game, the Falcons wouldn’t have made it either. Last season, they lost only one game in which they scored 30+ points (30 points in Week Seven against the Chargers). In the five games they scored less than 30-points, they only won one. They added some defensive help in the draft and free agency. If that help can pay off, the Falcons will win the division again. If it doesn’t, the NFC South could be wide open. Many blamed the struggled the Panthers went through last season as the typical ‘Super Bowl hangover.’ The reality of the situation is their offense is bland, and the defense missed the couple guys they lost. They need more than Cam Newton if they are going to have any sustainable success. So, they went out and got a few guys to help Cam out. The only problem may be whether he is willing to take the help. The team has said they want him to run less, but he has publicly balked at the idea. Maybe after taking a few hits to his recently repaired shoulder, he’ll change his mind. Or maybe after he sees what the offense can do when Christian McCaffrey and Curtis Samuel get their hands on the ball he will. But if he insists on being the same ole Cam Newton, the Panthers will be at the bottom of the division again. The defense will do its best to help. Getting a couple of former players back will help, but the young guys will need to continue to grow if the unit is going to be much help this season. Jameis Winston seems to be getting better each season. To help him grow this season, the Buccaneers made sure he was surrounded by weapons (tight end O.J. Howard, wide receiver Chris Godwin, and running back Jeremy Nicholls along with free agent wide receiver DeSean Jackson). It will help if Doug Martin can return to the form that earned a nice, new contract last offseason, the Bucs will be in great shape on offense. The Bucs didn’t do much on the defensive side of the ball in the offseason. Teams have won Super Bowls with defenses ranked lower than 21st like Tampa Bay’s was last season. Safety Justin Evans could end up making a difference this season as could linebacker Kendall Beckwith. But if the defense is going to be better, it will be because of the scheme and growth of the current players. If Winston can continue to grow (and especially cut down on turnovers), the Buccaneers could make some serious noise in the NFC South. The Saints will always be fun to watch as long as they have Drew Brees. He has a knack for making any receiver look good. It helps when you have talented guys like Michael Thomas and Willie Snead. Trading away Brandin Cooks is not going to make things easier this season, but hopefully, the edition of Adrian Peterson in the running game will. Nothing the Saints do on offense will matter much if they can’t improve on the defensive side of the ball. Last season they gave up over 28 points a game (28.4; No. 31) and the worst against the pass (No. 32). They did draft some help in the first round (Marshawn Lattimore) and second (Marcus Williams). They picked up a couple of pass rushers in the later rounds and could get some help from former Chargers linebacker, Manti Te’o, and former Cardinals linebacker Alex Okafor. It’s hard to say how good the Saints will be because Adrian Peterson is such a great unknown (for now). If he plays well, teams will have to respect the running game and relax a little on the passing game. 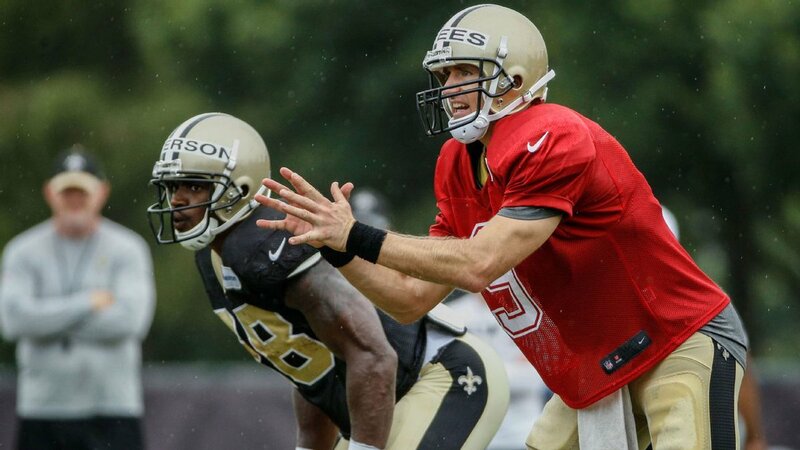 That could be all Brees needs to have an epic season. As nice as it would be to say the Saints, the winner will once again be the Falcons. It appears to be Tampa Bay’s time, but their success will hinge on Winston cutting down on his turnovers. Carolina will improve, but Cam Newton’s selfishness will be their downfall. New Orleans has potential, but not more than the other teams in the division.